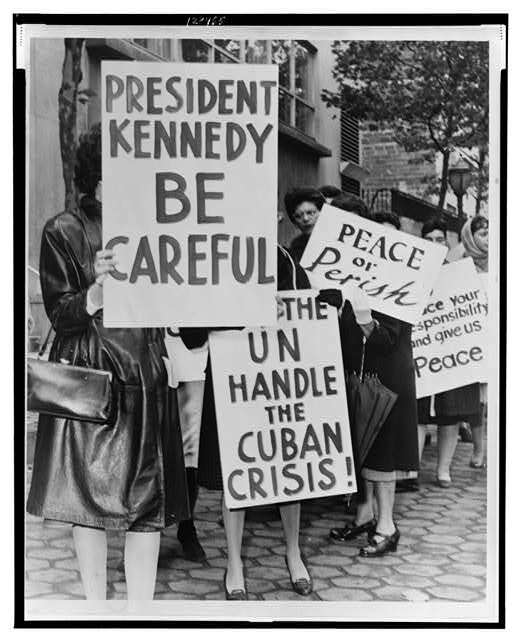 Women from Women Strike for Peace protest near the UN Building in 1962. Another antinuclear group active in New York was Women Strike for Peace, a grass-roots alternative to the more hierarchical SANE. Dagmar Wilson of Washington, DC had the idea that a peace strike by women would be an effective way to call attention to the dangers of nuclear fallout. There was particular worry that nuclear testing was responsible for high levels of Strontium-90 in the milk supply. On November 1, 1961, thousands of women all over the country walked out of their homes or off their jobs. In New York, they gathered at the AEC office on Hudson Street, the US Mission to the UN on Park Ave. and 33rd St., and the Soviet embassy on Park Ave. and 68th St. (Swerdlow, 1993, p. 16; New York Times, 1961). 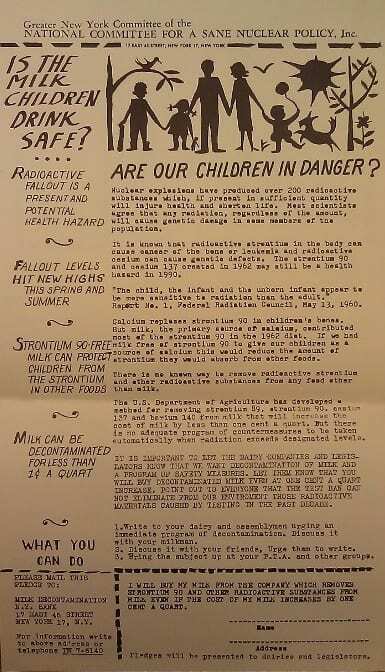 Flyer from Greater NY SANE about the dangers of Strontium 90 in milk, an issue that concerned Women Strike for Peace. 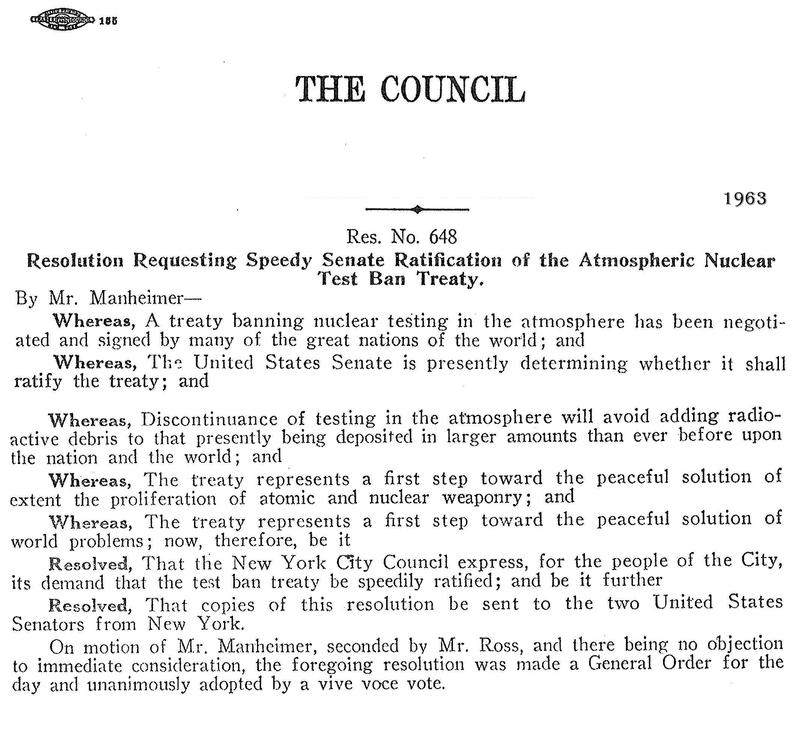 New Yorkers’ concerns with nuclear testing were expressed by their City Council in 1963, whose second resolution on nuclear issues called for the “speedy ratification” of the Partial Test Ban Treaty.